Women control $14 trillion in personal wealth assets. By 2020, they are expected to control $22 trillion, according to the Center for Women’s Business Research. Yet, too many women struggle with debt, despite making enviable salaries. 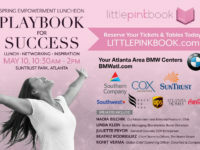 The fact is, a high income (or even significant assets), doesn’t necessarily mean you are wealthy, says Lechelle Moore, SVP at SunTrust Investment Services Inc. “Women can be in a great position in their jobs and their income can be great. But if they spend more than they earn, they’re not wealthy,” she says. One pitfall high income earners face? Getting used to an upscale standard of living, not saving, and then falling into debt; especially when uncertainties like layoffs strike. This could mean you’re income-rich, but not wealthy. “We expect our income will go up year after year. But in this economy, that’s not a certainty,” says Moore. The best way to address this is to take one year at a time. Assume your income will never be greater than this year. Planning your lifestyle and savings this way gets you into a habit of living within your means. She suggests setting annual short-term goals, where you plan your “wealth”. For example, she says by deciding what vacations you will take this year, you can better determine how much you can save. “It’s not a crash diet, it’s deciding how many French fries you can have at a time,” she quips. 1. Are you in a position to leave a bad relationship, or in case of death of a spouse, would you be able to support yourself? 2. Are you in a position to leave an unfulfilling job? Could you support yourself while you looked for a new one? 3. Are you in a position to work fewer hours as you grow older, or work only part-time if you have children? Wealthy women would answer “yes”, as their savings would tide them over in these situations. Moore says the greatest measure of wealth is a positive balance sheet. Judging wealth by the number of cars, homes, or other luxuries you have is often an incorrect assessment. If you fall into debt once loans for those luxuries are paid off, you’re not “wealthy”. 1. Set short and long-term planning goals. Having a vague idea of what your financial standing should look like in 30 years (long-term) helps you plan your annual (short-term) budget, and save accordingly. 2. Start saving early. “If women learn to save in their first job out of college, say even $20 a month, as their income grows, this habit stays with them for the rest of their lives,” says Moore. 3. Don’t take credit for granted. Holding yourself fiscally accountable is essential to develop “safe” spending habits. 4. Categorize the use of credit into “wise” and “unwise” categories. “It’s wise to buy a home and pay it off slowly via credit. But using your credit to fund your monthly expenditure is not wise,” she adds. 5. Credit should not be viewed as additional income. 6. Through responsible saving and investing, over time, you can create wealth!